Kelly's Cakes & Pops: First Fondant Cake Ever! Texas Longhorns Birthday Cake! First Fondant Cake Ever! 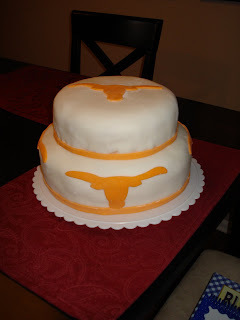 Texas Longhorns Birthday Cake!